As I suspected, everyone correctly worked out it was a half mandible from a Sirenian – probably a Manatee. So well done to Barbara Powell, henstridgesj, Robin, Ric Morris, Rhea, rachel, Jake, Andrea and Jamie Revell for getting the main identification. Of course, it got a bit more difficult when it came to making a species level identification, as is often the case. 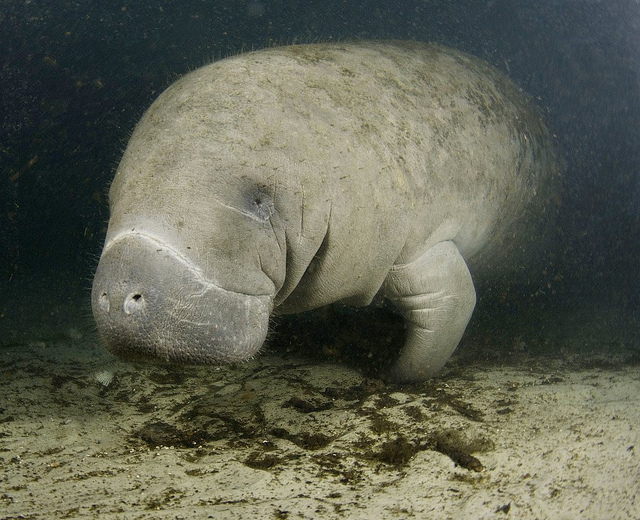 There are three well recognised species of Manatee – the West African, West Indian and Amazonian. There is also the Dwarf Manatee, which is a potential species in its own right or perhaps subspecies of the Amazonian Manatee. Several people plumped for the Amazonian species or the Dwarf Manatee based on the fact that the jaw doesn’t look robust enough for the other species. 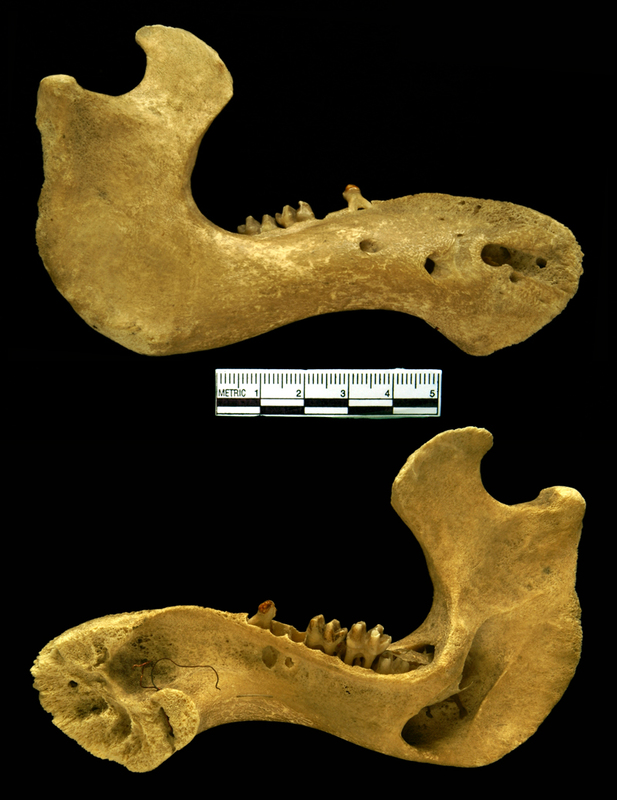 However, this mandible is from a juvenile, so that was a bit misleading. Based on the hook of the coronoid process (the highest bit of the lower jaw where the temporalis muscle attaches) and the angle of the mandibular symphyseal region (the bit where the two halves of the lower jaw would have joined together) I think this is most likely to be what Barbara Powell first suggested, the West Indian Manatee Trichechus manatus Linnaeus, 1758. A useful resource for marine mammal identification is the Marine Species Identification Portal. It is a bit hard to navigate, but if you go to a species and select the ‘Multimedia’ tab on the left you can find some useful illustrations for the West African Manatee, the Amazonian Manatee and the West Indian Manatee. I’m afraid I don’t have time to go into much detail about these bizarre creatures as I have a 5am start this Monday for a meeting in Manchester, but there is some background information available on the ARKive website that may be of interest. Congratulations to everyone for their identification skills! Well done Barbara; right first time! And thanks Paolo for another challenging FMO. Aw, thanks for listing me among the people who made successful IDs. I only said it was marine but didn’t know further than that! Congrats everyone–I had fun reading all of your comments. Thanks Paolo for another great lesson. Playing the FMO is a great way for me to practice vocabulary (coronoid process, mandibular symphyseal region) and find out about resources (Marine Species Identification Portal). Yay Barbara! OK, so what should I have looked for to ID this as a juvenile? It does look like the last teeth have not fully erupted. Is that an indicator? Thanks again for a fun weekend project! I’m not sure the teeth would help much as they continually replace them; new ones grow at the rear and move forward.